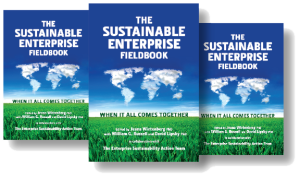 The Sustainable Enterprise Fieldbook is a gamechanger for sustainability. With deep thought and inspiring examples, this updated book engages readers by increasing their understanding and awareness of what sustainability means conceptually, practically, personally, and professionally. It provides readers with the tools and techniques to improve the social, environmental, and economic performance of their organizations in both the short and long term. Since sustainability is not achieved in a siloed environment, everyone has a critical role to play on this journey. The Sustainable Enterprise Fieldbook engages today’s managers and leaders of organizations, in both the private sector and civil society, who are being challenged as never before to find ways to play a proactive role in understanding and addressing the risks and opportunities of sustainability. It teaches them how to apply systems thinking to turn our most intractable problems into exciting business opportunities, and offers groundbreaking frameworks in new chapters on globalization, strategy, metrics, and sustainability models for collaboration, technology, and community. The Sustainable Enterprise Fieldbook, When It All Comes Together, First Edition. Ed. Jeana Wirtenberg, William G. Russell, and David Lipsky (2008), with Foreword by Georg Kell, Executive Director, UN Global Compact. Today, managers and leaders of organizations, in both the private sector and civil society, are being challenged as never before to find ways to play a proactive role in addressing the concerns of sustainable development. But they are often overwhelmed by a bombardment of conflicting messages from the media, shareholders, customers, employees, and NGOs. The Sustainable Enterprise Fieldbook helps managers deal with this confusion. It teaches them how to strike a better balance, moving from an either/or mindset to one that holistically embraces social, environmental and economic issues simultaneously. It addresses the what ( what is a sustainable strategy for a company or organization? ) as well as the how ( how do we go about building a sustainable enterprise? ). 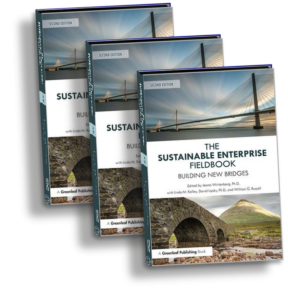 The Sustainable Enterprise Fieldbook has been put together by an outstanding network of experts from business (Microsoft, Sony, Philips, and AIG), consultancies, and academia. Its aim is to teach and guide leaders, managers, practitioners, students, and professors in every sector of society, and in every industry, in creating a successful and sustainable enterprise. By making the steps needed clear, understandable, and simple to follow, the book naturally engages readers in their journey and encourages their participation in three key ways: by increasing their understanding and awareness of what sustainability means at a conceptual and practical, as well as a personal, level; by energizing and expanding people s commitment to building sustainable enterprises; and by providing readers with extensive tools and techniques so they can individually and collectively take actions that will improve the social, environmental, and economic performance of their organizations in both the short and long term. 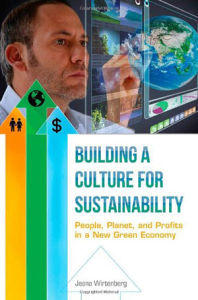 Each chapter of the book illustrates through models, tools, cases, stories, and examples from a wide range of companies how to integrate sustainability into the day-to-day realities of running a business. Managers are coached, facilitated, and guided to enable them to create a better balance between the short and long term, to help them to become change agents in their organizations and to provide answers to the question How do I make a difference? Some of the areas covered are leadership, strategy, managing change, employee engagement, metrics and measurement, networks, and globalization.